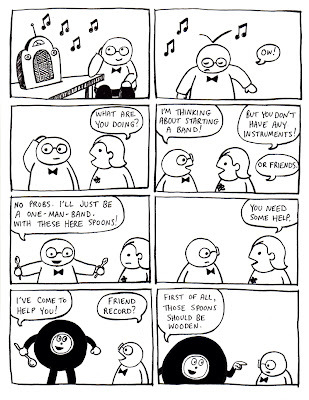 I'd watch Size Small when I was little, and I'd run to the kitchen to get spoons when Friend Record came on. But by the time I got back to the TV he would be finishing up. I don't know why I didn't learn to just keep a set in the living room. I could have been a spoonin' virtuoso.